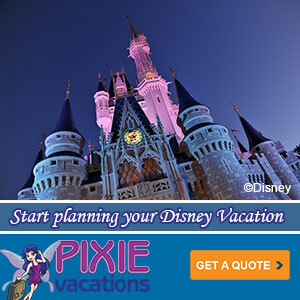 Sanaa at Disney’s Animal Kingdom Lodge Kidani Village is one of Walt Disney World Resorts hidden dining gems. We’ve been there a couple of times for dinner and enjoyed the Indian-African fusion cuisine thoroughly. When the opportunity came to grab a table for lunch we quickly made reservations. Upon entering the restaurant we immediately saw one of the benefits of dining at lunch, you can see directly out to the savannah shared by Jambo House and Kidani Village. For much of the year, it’s dark out by the time dinner seatings start, so you don’t get to see the animals walk right by the restaurant while you’re dining. Giraffes, Cranes, Ostriches and more all passed by while we dined. That very much adds to the charm of Sanaa. Speaking of charm, service was outstanding from the greeting through to the delivery of the check. My only quibble was with the pace of delivery. Our appetizers took a long time to come out and then our entree followed almost immediately. Due to the nature of Sanaa’s ‘little plates’ feel, I didn’t mind it too much, it was must more flavors to consider and they made up for it with an extra portion of appetizer. 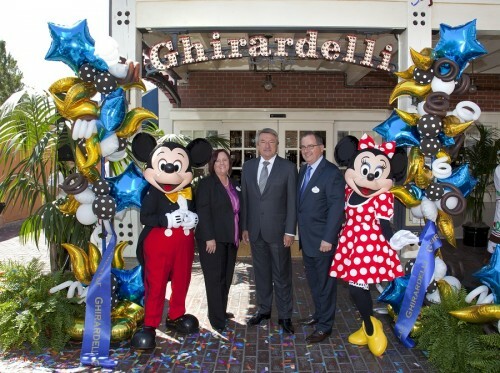 From left, Mary Niven, vice president, Disney California Adventure Park, Ernst Tanner, CEO, Lindt & Sprngli AG, and George A. Kalogridis, president, Disneyland Resort celebrate the opening of a new Ghirardelli Soda Fountain and Chocolate Shop at Disney California Adventure Park June 7, 2012. A wonder world of saccharine delights is now open at the Disneyland Resort. A new Ghirardelli Soda Fountain and Chocolate Shop is spreading its sugary sweetness inside Disney California Adventure park. The new location – the first to open inside a theme park – features Ghirardelli’s world-famous hot fudge sundaes and decadent chocolate products, and represents another milestone in the expansion of Disney California Adventure. Good news, there will be free samples too!